Temperatures dipped to around minus ten degrees Celsius in inland areas of the central region of the country on Friday, with a cold wave advisory issued for most parts of the nation. 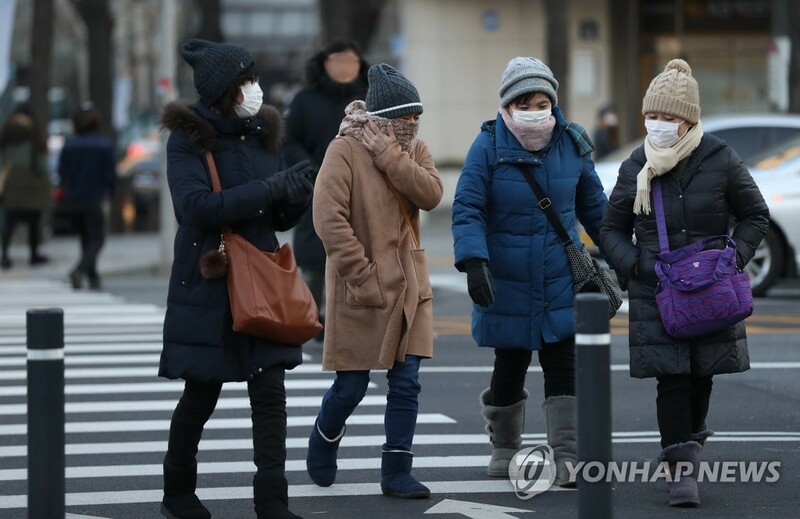 The Korea Meteorological Administration said that the mercury is unlikely to rise above zero degrees in Seoul on Friday, forecasting daytime temperatures for most of the nation to slip by about five degrees Celsius from the previous day. The weather agency forecast the cold wave will continue into the weekend and begin to let up from Monday. A cold wave advisory goes into effect if the mercury drops by more than ten degrees compared to the previous day and if early morning lows drop below minus 12 degrees Celsius for two straight days.